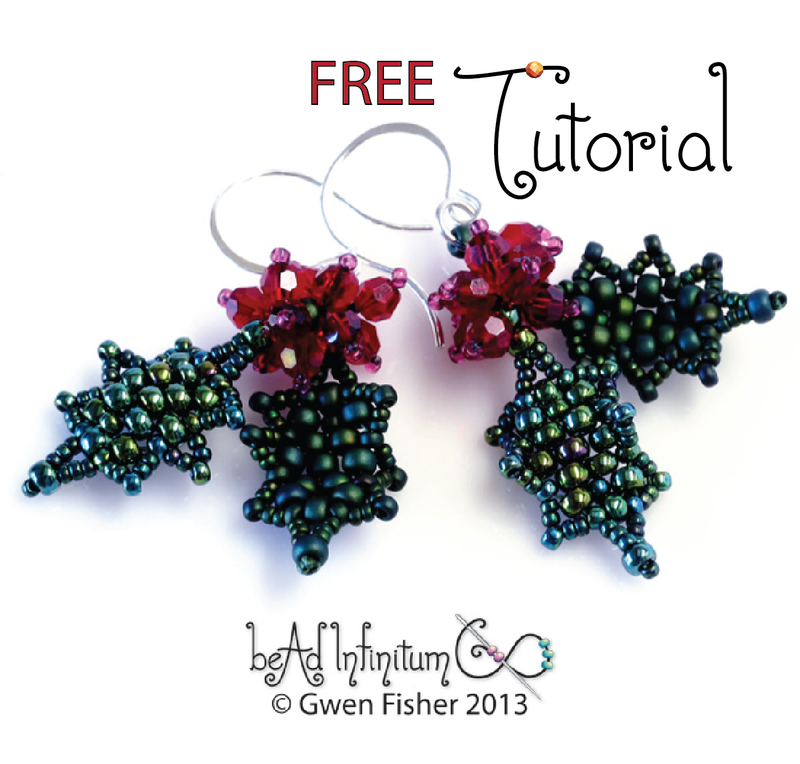 Here's a free tutorial for Holly Leaf & Berry Earrings (PDF). It's my way of wishing you a very happy holidays. How utterly wonderful of you!! Thanks so much for the gorgeous pattern!! Thanks for making the pattern available. The earrings are beautiful. They are lovely. Thank you!!! Thanks so much for your gorgeous free tutorial. Merry Christmas! Thank you very much for sharing! Merry Christmas! Thanks and happy Xmas! The way you made the leaves is so smart! Have a safe and joyful holiday season Gwen. they're lovely! thank you so much for sharing them with us. So lovely and elegant - Christmas jewellery with class! Thank you - I just love these earrings. Merry Christmas & Happy New Year. How adorable! Thank you so much! Thank you so much. I love these and appreciate your kindness! Thank you so much, I appreciate your kindness! Thank You! I plan to start mine tomorrow. Thank you Gwen. I admire your designs and appreciate the gift. Thank you Gwen, they are just lovely.. Thanks so much! I'm pretty new to beading and love little projects like this. These will defiantly be on my to-do beading list! Thank you Gwen--these are pretty and look fairly fast to make. Thank you so much. I am going to wear them to a Christmas party in another part of the world. Thank you - these are so pretty. You write very good instructions!! Try it. You might like it. Da Lizards! - I'm stuffing lizards with batting! Making them 3-D! Check out the kit on my etsy shop! Floral Cascade - Aus dem Buch Fantasien aus Perlen von Sabine Lippert Schade das sich auf den Fotos nicht der glanz der vielen Swarowski Steine einfangen lässt.